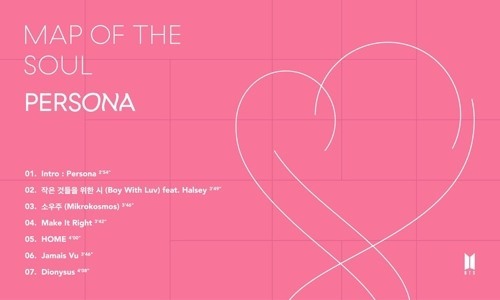 BTS released the full list of tracks for its new EP “Map of the Soul: Persona” at midnight. “Boy with Luv” has already gone viral after a short teaser featuring American pop singer-songwriter Halsey was officially released yesterday. The EP will go on sale Friday, and all tracks will be unveiled online at 6 pm on the day. The boy band will showcase its new songs for the first time via NBC’s “Saturday Night Live” on Saturday. BTS will kick off its worldwide stadium tour from May 4. Watch the clip at https://www.vlive.tv/video/122389. 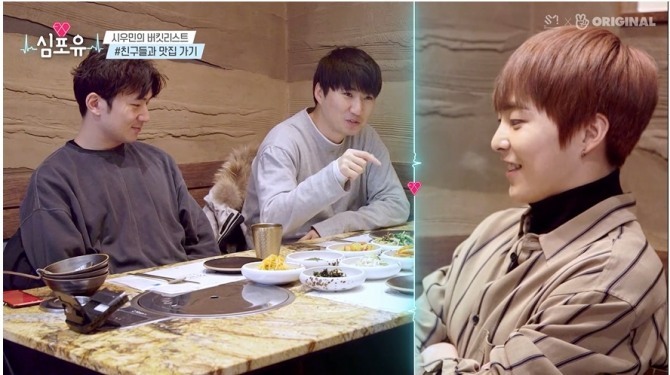 EXO’s Xiumin invited his childhood friends for a late but delicious meal at one of his favorite restaurants. One of the friends was from his first elementary school and the other had gone to all the same schools -- elementary, middle and high schools. “I still remember the first time meeting you and other friends. It was back-to-school day and having just moved, I didn’t know anybody. I saw that there were these kids who stayed at school after the ceremony playing soccer and I was hanging around not quite daring to walk up to say I wanted to join. But they asked me if I wanted to play,” recalled Xiumin. “Soccer was all the rage then. Maybe because it was the ear of the Korea-Japan World Cup,” said his friends. Happily sharing Korean delicacies, the three looked back on their shared memories. Watch the full clip at https://www.vlive.tv/video/122244. Although the bandmates were clad in casual clothes for the dry run, they exuded confidence. The song has topped music charts around the globe, including iTunes’ song chart in the US, a first for a K-pop girl group. The music video has also set the record as the most-watched clip in 24 hours on YouTube. The quartet’s new track has logged 56.7 million views in the first 24 hours, beating the 55.4 million views set by Ariana Grande’s “Thank U, Next” on the streaming service. It is already one of the biggest YouTube debuts and became the fastest music video to earn 100 million views. Watch the video at https://www.vlive.tv/video/122546. 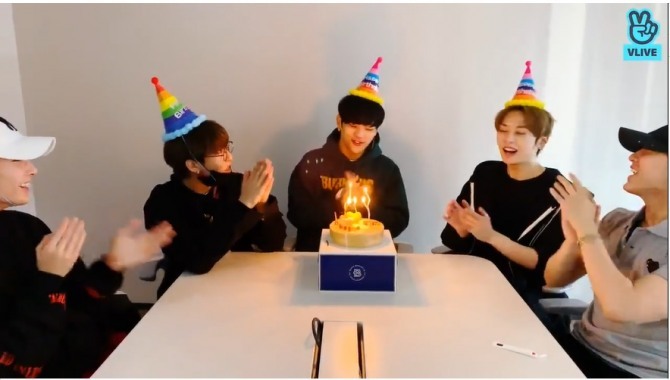 Stray Kids gathered to congratulate Woojin on his 23rd birthday via Naver’s V Live. The four members had to be somewhere and could not be together to sing Happy Birthday for the live segment, but they had a party with chicken. “Chicken and tteokbokki, it was new but a great combo,” said I.N. In response to fans saying they were looking forward to the next episode of the group’s reality show, the bandmates agreed that it would be worth waiting until Thursday. “We had so much fun taping it,” said I.N. Having indulged a fan’s request to do a cute pose, Woojin thanked fans and the members for being there on his birthday and said he would have a great day. Watch the full video at https://www.vlive.tv/video/122443.